Seventeen-year-old Francis Fripp's confidence is practically non-existent since his abusive father drenched him in accelerant and threw a match at him eight years ago. 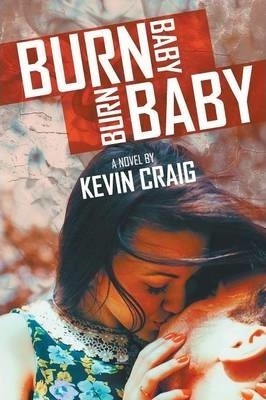 Now badly scarred, Francis relies on his best friend Trig to protect him from the constant bullying doled out at the hands of his nemesis, Brandon Hayley-the unrelenting boy who gave him the dreaded nickname of Burn Baby. The new girl at school, Rachel Higgins, is the first to see past Francis's pariah-inducing scars. If Brandon's bullying doesn't destroy him, Francis might experience life as a normal teenager for the first time in his life. He just has to avoid Brandon and convince himself he's worthy of Rachel's attentions. Sounds easy enough, but Francis himself has a hard time seeing past his scars. And Brandon is getting violently frustrated, as his attempts to bully Francis are constantly thwarted. Francis is in turmoil as he simultaneously rushes toward his first kiss and a possible violent end.